This is the kind of victory that can jump-start a team. After falling behind 5-0 (thanks to yet another crappy starting pitching performance), the Red Sox made a steady climb back into last night's game—eventually tying up the Blue Jays at 5-5. Falling behind yet again, Boston faced a 6-5 deficit in the bottom of the ninth. An epic at-bat by Mitch Moreland (fouling off multiple high fastballs from the Toronto closer) resulted in a ripped RBI double off the center field wall that tied things again at 6-6. Moreland also had homered earlier. 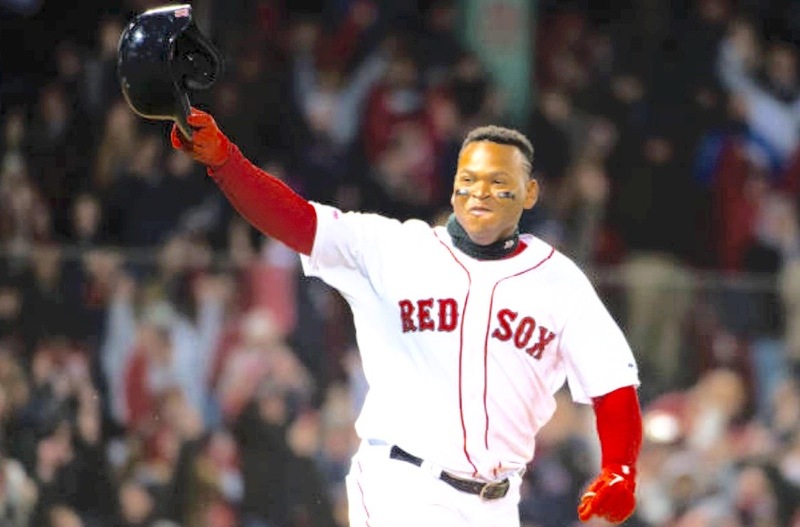 After loading the bases, Rafael Devers collected his first career walk-off hit with a chopping ground ball over the heads of the drawn in infield for the eventual 7-6 win. With that, The Carmine Hose secured their fourth win of the year—and began to finally resemble the 2018 champs. The game was marred by a claim by StatCast that Blue Jay Rowdy Tellez's third-inning home run off Nathan Eovaldi was—at 505 feet—the longest in Fenway Park history. Those of us in the know realize that the blast—though prodigious—was nowhere near the epic Ted Williams 'Red Seat' blast of 502 feet. StatCast has since taken down its estimate, so we shall see. Bring on the Orioles!